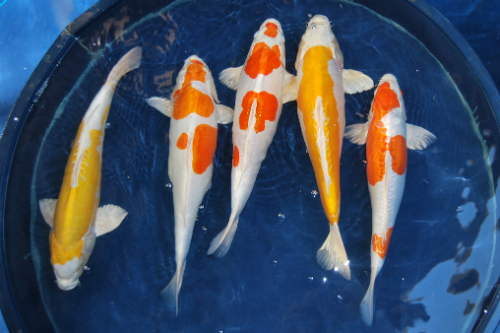 Madankoi offers you a wide range of koi products ranging from small koi, to a diverse choice of mid-size koi, large and Jumbo koi at the highest quality. 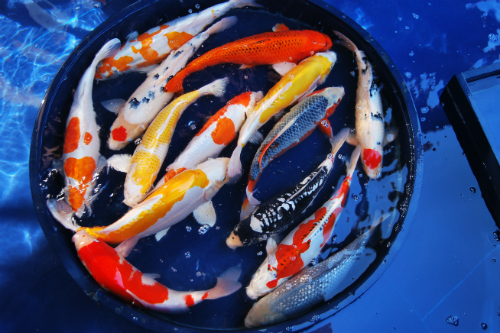 Our koi batches are well known for their colorful variety, generous size and above all their health and strength. 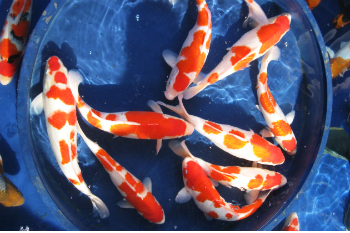 A large part of our koi bloodline is based on the genetics of the most famous breeders in Niigata, Japan, and together with decades of local selection we have some exclusive and unique Madankoi varieties. Koi B - a standard level koi, suitable for amature hobbyists and Garden Centers. Koi A - a good quality koi at an affordable price. 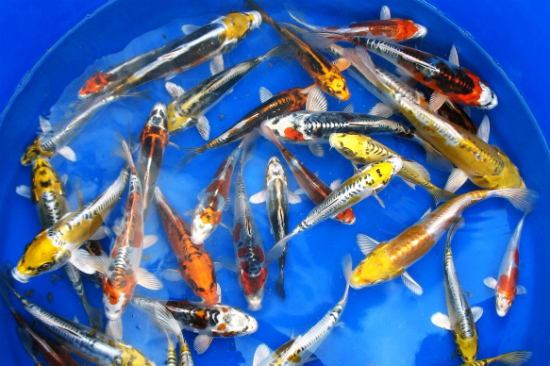 Our Koi A batches are well known for their colorful, diverse and high standard. 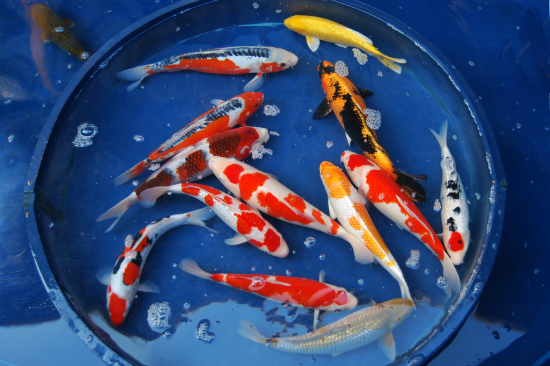 A good value for money which can be the perfect choice for every serious Koi retailer. Koi Better - a high quality koi. 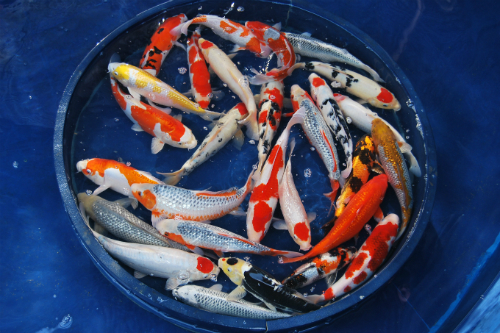 Koi Variety - a batch of a single variety of Koi, at A+ quality. 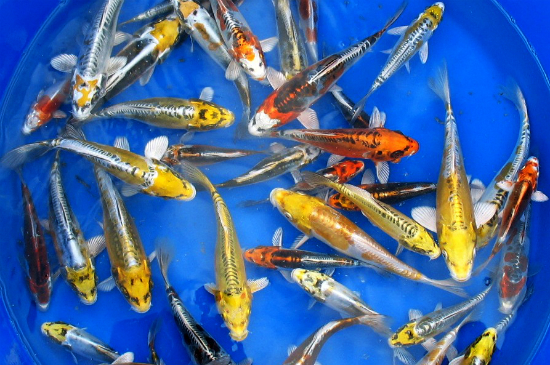 Ghost koi - a batch of Doitsu Metallic fish. Mostly light and attractive. 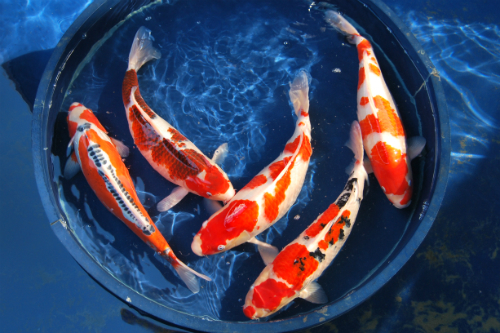 Madankoi holds a unique and shiny bloodline of Ghost koi, very famous for it's colorful, diverse and strength. Butterfly koi - we offer varied long fins koi from the unique indoor farm of KOI KIN.